A very warm welcome to our website, especially if this is your first visit. We hope that some of the things we do will appeal to you … and may help you connect with God. The Rev’d Dr Amanda Jane ‘Mandy’ Elmes is Priest in Charge of the three parishes of Langham with Boxted, West Bergholt and Great Horkesley . We are committed to safeguarding children, young people, vulnerable adults and victims and perpetrators of domestic abuse. The PCC has adopted the Church of England’s policies and practices on safeguarding which may be found on the Church of England website (see link below). Our Parish Safeguarding Officer is Laura Benns, who may be contacted via the church office on 01206 243683. Rev Mandy Elmes welcomes you to our Easter Services in her special Easter Message Please see below for details of our services. Our new family-friendly, informal worship service in the afternoon on the 2nd Sunday in the month is going from strength to strength and will now usually be held at St Peter’s, Boxted. The next services are Sunday 14 April @ 4pm and Sunday 12 May @ 4pm, both at St Peter’s, Boxted. A home group for Year 6 children and upwards meets every Friday evening during the summer term between 7.30pm – 9pm. If anybody is interested in joining please call Claire on 07752 201441. Our principal Sunday service is held at 9:30 am and alternates between St Mary’s, Langham and St Peter’s Boxted. It is usually a ‘Common Worship’ Eucharist which is partly sung to a simple setting. Having a single main service helps to bring our two villages together. This service lasts for 70 minutes. Every third Sunday, there is an early morning 8.00 am Eucharist at St Mary’s. This quiet, traditional service uses the Book of Common Prayer (1928). There is a short sermon, and the whole service lasts 40 minutes. On the third Sunday of each month there is a more informal All Age Family Service which lasts 50 minutes. Baptisms sometimes take place during this service. Our next Family Services are Sunday 17 March at St Peter’s Church, Boxted @ 9.30am. Please note there will be no Family Service on Sun 21 April as this is Easter Day and there will be a Communion service. 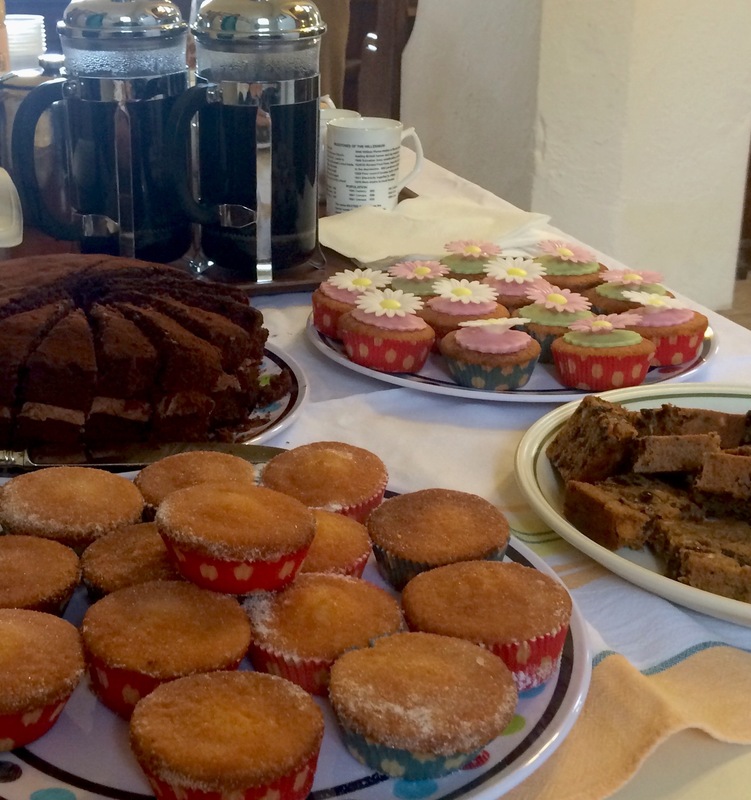 After the 9:30 a.m. services there are always free refreshments, when people stay to chat and enjoy each others’ company; newcomers to St Mary’s or St Peter’s find this a good opportunity to get to know everyone. When there is a fifth Sunday in the month we often hold a joint service with the churches in Great Horkesley and West Bergholt. Check key dates section for details. After the 9.30am services at Langham and Boxted, Mandy goes on to take a second service at one of her other churches in Great Horkesley & West Bergholt. Please click on this link for full details of services in all her parishes. A home group currently meets and welcomes new participants. One in the afternoon on the first Tuesday of each month. (Contact Angela Mclauchlan 01206 272275). The other group however, in the evening on the second and fourth Wednesday of each month, is not meeting at present (Contact Carola and Don Markham 01206 617429). 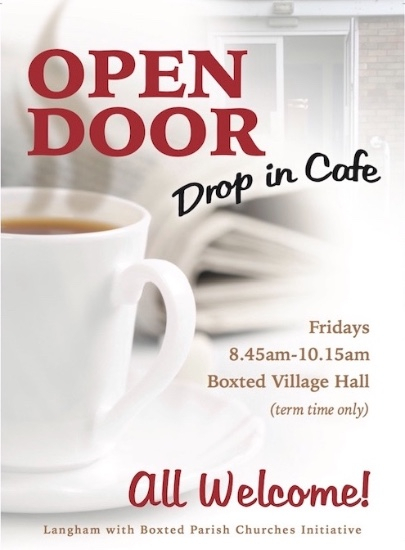 We have a group of people who go into Boxted St Peter’s C of E School to tell Bible stories using the Open the Book scheme. For more information about Open the Book, click on: http://www.biblesociety.org.uk/about-bible-society/our-work/open-the-book/. The youth work continues throughout 2018. We meet at the Boxted Methodist Church Hall. Read more here. Grow in our personal faith. Engage with our young people. Help our community in practical ways. The PCC welcomes comments and feedback. If you have ideas, please contact a Churchwarden. Our two beautiful churches of St Mary’s, Langham, and St Peter’s, Boxted, aim to provide Christian worship and teaching which enables everyone to encounter God. On a Sunday you’ll meet people of all ages and from many church traditions – and none. We unite as a family at the Eucharist as we share bread and wine together and are always delighted to welcome newcomers – especially those who are trying “church” for the first time. Our music blends the traditional and contemporary. We successfully combine the fun of children playing simple musical instruments with more formal liturgy. We feed our souls, our bodies and our relationships as we study God’s word and as we chat over coffee and eat cakes after our morning service. We do all this so that the Gospel may be preached, the faith may be taught, and that everyone may come to know the love of Jesus. We believe that Jesus Christ died on the cross to take away our sins so that we might have peace with God. We believe that Jesus rose bodily from the grave on the first Easter morning. We believe that he will one day return this world, and that in the meantime we can know him through the power of God’s Holy Spirit within us.